Spring clean your jewellery, or upcycle those pieces you always loved but are now broken. 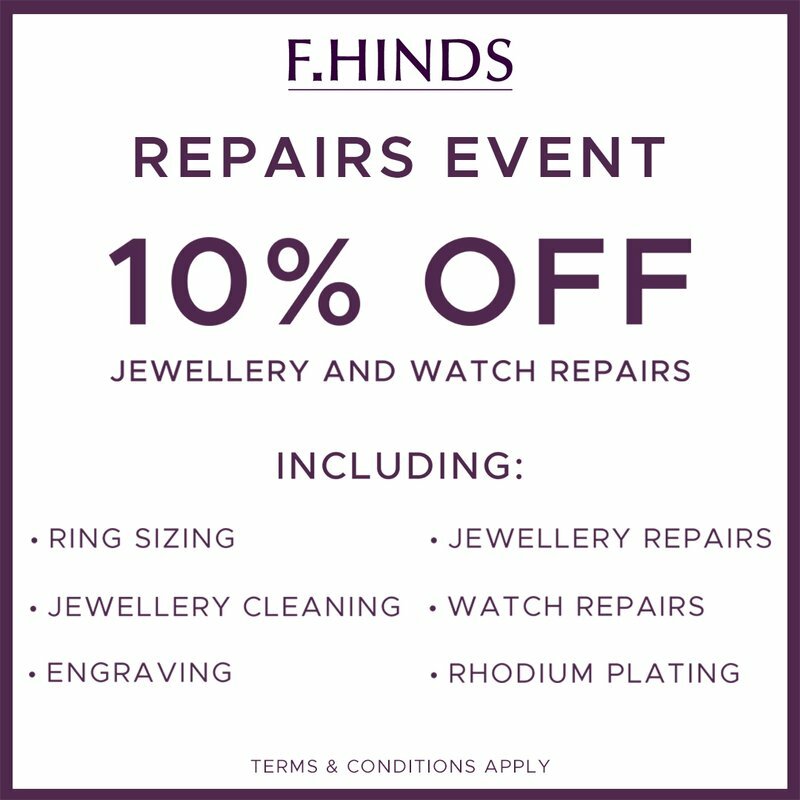 Jewellers F. Hinds have 10% off all repairs and services until 22nd April, including jewellery cleaning, jewellery and watch repairs, ring sizing, engraving and rhodium plating. After a spruce up visit to F. Hinds, those special jewellery pieces will be back into service as good as new.